Motorola Devour to sell for $150 at Best Buy? You've just got to love the slow trickle of information about your next smartphone, right? 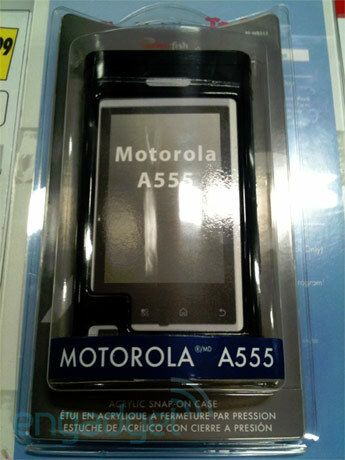 Just days after hearing that Best Buy would gladly accept your pre-order on Motorola's Devour (without actually telling you the final price, comically enough), this leaked flyer has flown into our inbox to clear up the mystery. Unless we've got some seriously awesome Photoshop work going on here, it seems as if the Flash supporting handset will sell for $149.99 on a 2-year Verizon contract, and of course, that's sans mail-in rebate if you snag one from the Big Yellow Tag. Not bad given the specs, wouldn't you say? Update: Looks like a case (shown after the break) has popped up as well. Thanks, H.R. !